A fitness measurement is different from a performance measurement as there are often many factors that influence the final end-result, independent of fitness. The fitness measurement is specific to the athlete, whilst the performance measurement is the ultimate outcome – the time to complete a distance, the mean power output, or the finishing position, for example. Cycling is one activity where the measurement of both fitness and performance are possible, using power meter instrumentation. This equipment enables athletes to perform testing in semi-controlled environments, to determine their fitness, whereas previously a laboratory was required. Furthermore, it allows the analysis of actual training and race performance, and from that we can infer an athlete’s fitness. To establish protocols to determine an athlete’s strengths, weaknesses, limiters and areas of improvement. For the prescription of individualized training, set relative to the fitness level of the athlete. To establish athlete performance targets to be used in racing that assist the athlete in optimizing the pacing or tactics for an event. As of today, there are many measures, or correlates of fitness – maximal oxygen update, lactates threshold(s), exercise economy/efficiency etc are all well known from laboratory based research. Within the field utilizing power meter measurements, the main measure of fitness in endurance cycling is Threshold Power (TP). Often referred to as functional threshold power (FTP), and generally used synonymously with the terms critical power, anaerobic threshold power, lactate threshold power , and others. Threshold Power as the highest power that an athlete can sustain without accumulating short-term fatigue is a marker of fitness. Simplistically, the higher the threshold power, the higher the intensity an athlete can sustain without accumulating immediate fatigue. Recently, other measures have started to enter into the mainstream for the assessment of fitness – terms such as anaerobic work capacity, W-prime (W’) and functional reserve capacity (FRC). These are terms used to describe the amount of High Intensity Energy (HIE) you have available, or the available capacity to perform work above the threshold power. Another measure of fitness, particularly for cyclists that compete in shorter events or in events that require a final sprint is Peak Power (PP). 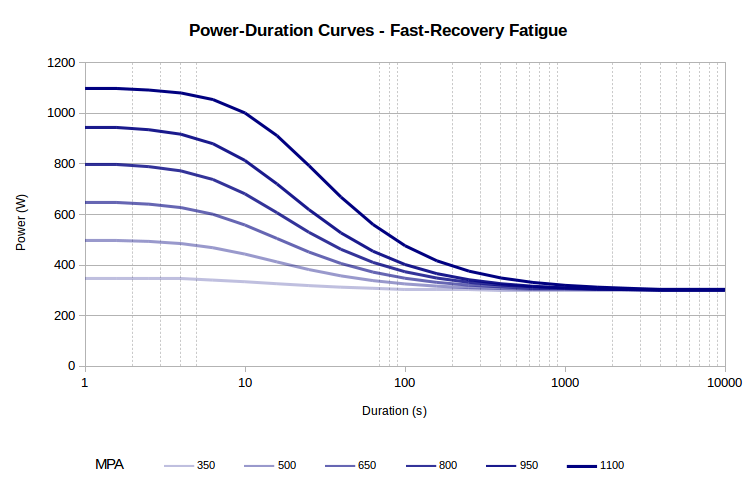 Although not an often discussed measure of endurance fitness per se, peak power establishes the highest power one can achieve and is measured when the cyclist is in a fresh state. Together – threshold power, high intensity energey, and peak power – form the cyclist’s fitness signature. The higher any of these measures are, the fitter the cyclist. 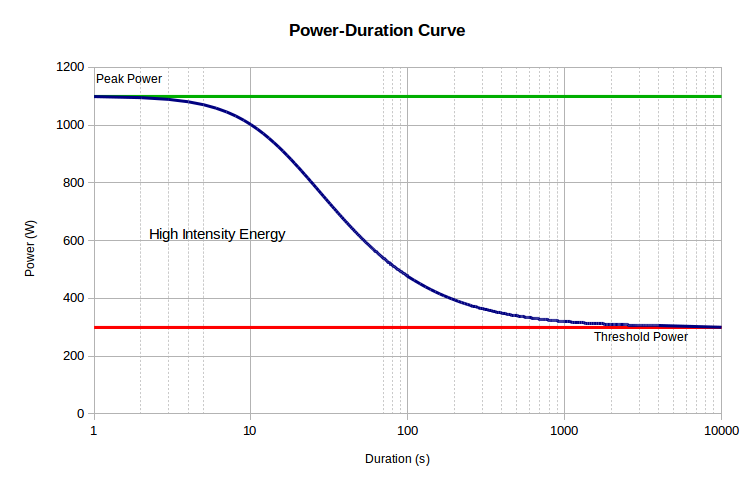 When we measure the length of time an athlete can sustain a given power output, and plot the power output vs. the time, we obtain a Power-time (P-t) curve, also known as a Power-Duration (PD) curve, or sometimes simply a power curve. This is commonly known as the power-duration relationship, and is evident across many dynamic sports in humans, in health and disease, and indeed right across the animal kingdom. 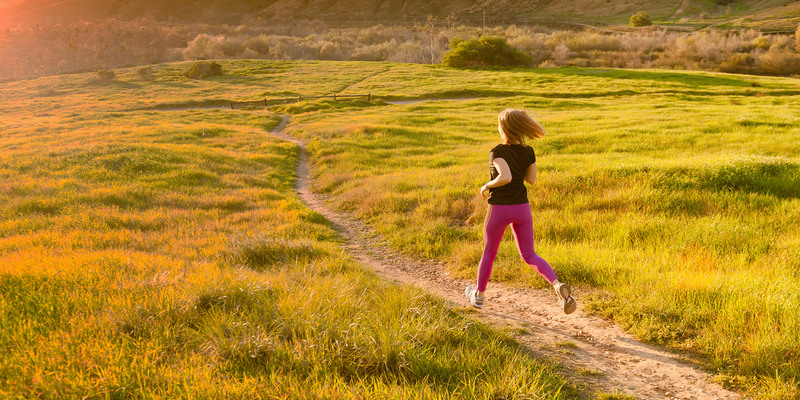 It is a fundamental cornerstone of exercise physiology, and also of endurance performance. 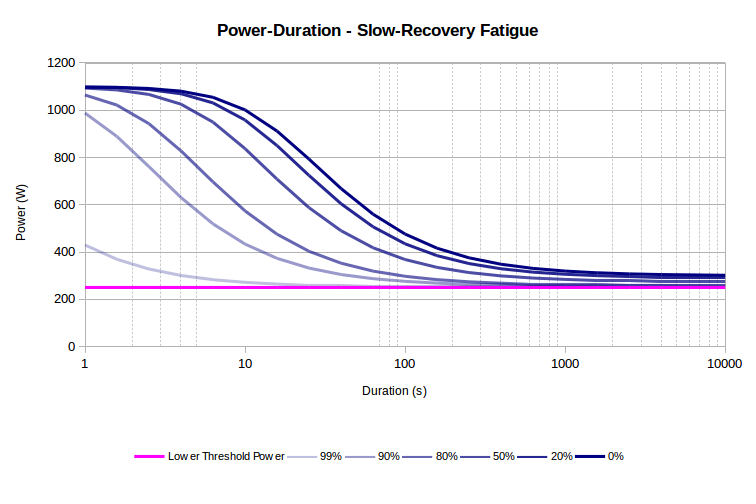 On the chart above, the top left represents the athlete’s peak power (PP), the bottom right the threshold power (TP) and the region in between is the capacity available above threshold, i.e. your high intensity energy (HIE). 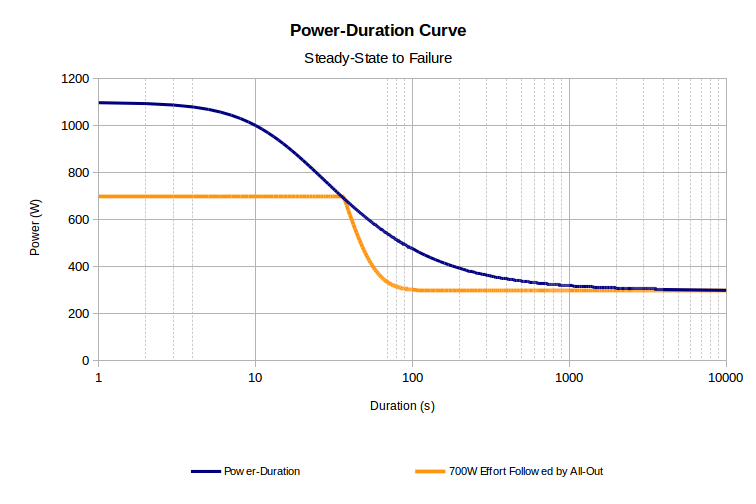 Thus a power-duration curve is a visual representation of a fitness signature. In each of these situations, if more power was available, it would have been used. It is at these exact moments that one’s fitness is expressed. It is also at these moments which define the points of the power-duration relationship. If an athlete had performed an activity that expressed a fitness signature and then, during a subsequent activity the athlete was able to surpass what would normally have been a point-of-failure, the athlete has demonstrated an improved fitness level. They have achieved a fitness breakthrough. Identifying fitness breakthroughs are critical in the assessment of a given athlete in terms of their fitness but, more importantly, it provides feedback about the success of a given training program or methods. Determining MPA during an activity or workout and comparing it to the power output is a very powerful way of assessing the athlete’s fitness and performance. We’ll cover the concept of MPA and MPA analysis techniques in our next blog. Although a fitness signature provides a convenient way to define a power duration relationship, often working with three simultaneous measurements can be cumbersome. In fact, for most athletes, improving all three in equal amounts isn’t always the optimal approach for their training goals. One parameter may have more relative importance than another. To simplify the management and reporting of fitness, Xert enables the ability to select a fitness measure. Your fitness measure is a combination of your fitness signature parameters, and may also include your body mass, that helps you assess whether your fitness for the type of athletic events you are targeting, is increasing or decreasing. Fitness measures combine all three fitness parameters by evaluating fitness as the maximal steady-state power that could be performed for a given duration, optionally accounting for body mass. For example, the fitness measure well-suited for road sprinting is a 1 minute maximal steady-state power divided by your body mass (60s W/kg). Successful road sprinters tend to possess higher 60s W/kg and tracking your 60s W/kg power as your fitness measure, would enable you to see how your fitness as a road sprinter is progressing. Xert Online provides a handy fitness signature calculator which enables the determination of your fitness signature using tested best-efforts. The calculator requires just 3 pairs of values. Typically, the 3 pairs are entered in order of duration, with your highest, peak-power tested effort first and your lowest threshold tested effort last. 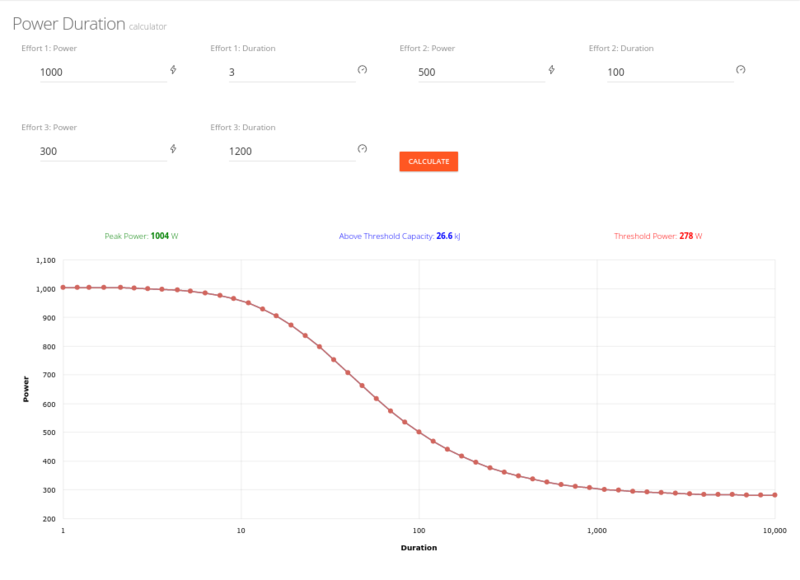 One other datapoint along your curve is needed to determine your fitness signature. For example, say you know the maximal power you’ve been able to produce, 1000W lasted 3 seconds, a 20 minute test you performed recently you did at 300W and you did rested, hard, all-out efforts at 500W where you were able to hold them for 100 seconds. The calculator establishes your fitness signature based on these three points and determined that your peak power is 1004W, your threshold power is 278W and your high intensity energy is 26.6 kJ. These three values represent your signature based on the 3 power-duration values you provided. Note that the signature is only an estimate of your fitness based on the three data points provided. Often, the fitness you had during the three individual tests varied so the determination of your fitness signature is subject to variation from different fitness levels and day-to-day changes as a result from training and recovery. To obtain a signature that is a representation of your fitness for a given point in time, we’ll need to look deeper into the data itself. That will be the topic of our next blog where we will explore the concept of maximal power available in more detail.